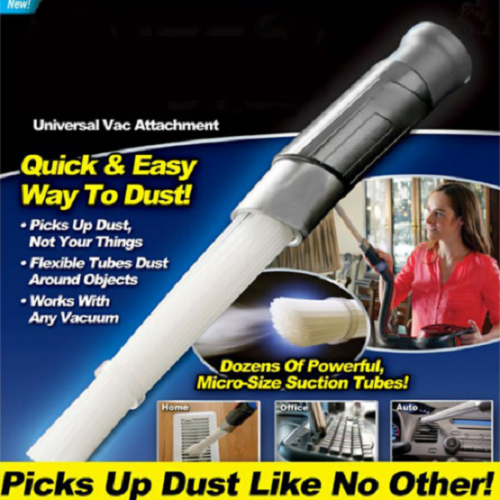 Universal vac attachment picks up dust like no other. Great for vents, jewelry box, keyboards, laptop, tool box, drawers, window blinds, furniture, cars and so much more. Made with 36 flexible, micro-size suction tubes, that are flexible, which can get anywhere that dust hides. No need to move things before dusting.